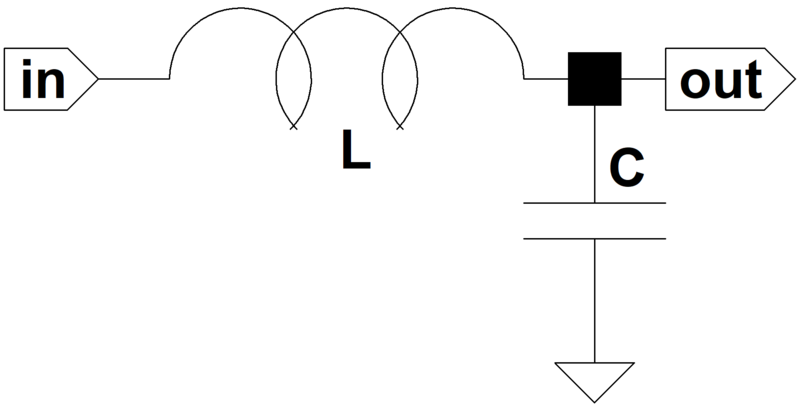 A resistor-capacitor filter is simple and inexpensive. When it needs to supply lots of current, however, it creates a large DC voltage drop, requiring a higher input voltage to achieve the same output. In high-power guitar amplifiers the power tube screens, phase inverter, and preamps draw enough current at full power to make a choke-capacitor filter more economical (at least in the early days of the Fender Bassman and the Marshall JTM45). An LC filter with the same amount of ripple attenuation and the same size capacitor creates much less DC voltage drop than an RC filter. The key difference is that the inductance of the choke reacts to AC signals but presents, ideally, a short circuit to DC. A real-world choke creates a slight DC voltage drop due to internal winding resistance. This calculator computes ripple attenuation and DC voltage drop.